Although most commonly thought of as a toy for young troublemakers (see Dennis the Menace) the slingshot can also be a useful survival and hunting tool in the right hands. And the Pocket Shot, an unorthodox but compact and highly portable take on the slingshot, is easy to keep on hand whether you're heading out for some camping, or just out to cause trouble in your neighborhood. 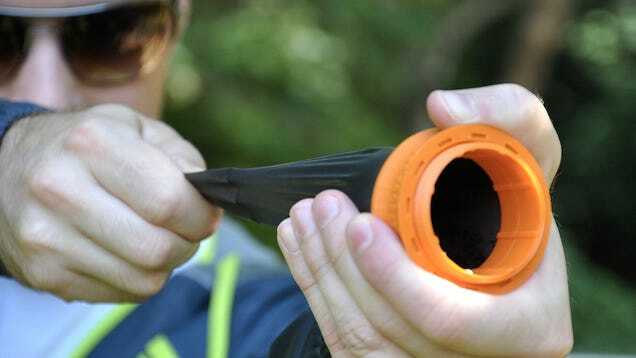 Instead of an elastic band attached to a fork made of wood or metal, the $25 (£17) Pocket Shot uses a stretchy rubber cone that's connected to a plastic ring. 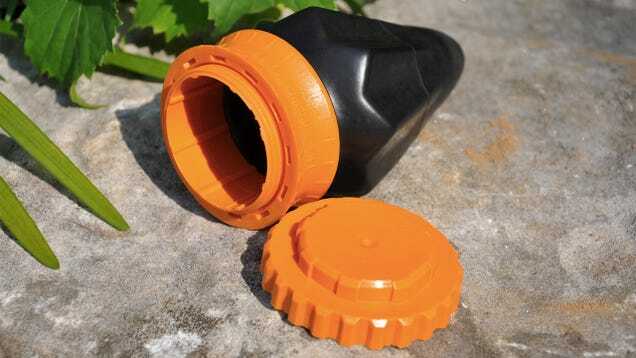 You place your ammo inside the cone, which could even be hunting arrows with a whisker biscuit accessory, stretch it out as far as your arms will allow, and let it fly.